Students in the interdisciplinary Writing Minor will develop their academic, critical, and rhetorical writing skills in ways that enhance their major courses of study. By moving beyond the competencies introduced in the first-year writing seminar, the Writing Minor will provide students with opportunities to practice, refine, and extend their skills as academic, professional, and creative writers. The curriculum, composed of new and existing courses in rhetoric and writing, as well as writing-enhanced courses across the disciplines, prepares students to participate in various writing situations both inside and outside the academy. Because writing enhances reflection, reinforces learning, and improves critical thinking, the Writing Minor will provide students with the skills they need to excel in their majors, their professions, and their lives as engaged citizens. Produce complex and well-supported arguments that matter in their contexts. Use flexible strategies for organizing, revising, and proofreading writing of varying lengths and genres. Identify and implement rhetorical choices responsive to the demands of specific genres, audiences, and rhetorical situations, both academic and non-academic. Compose in a variety of modes, including a range of new media. Identify the expectations that characterize writing in their major field of study, and use this knowledge to write effectively in a range of genres in that discipline. Use meta-language regarding writing processes, rhetorical choices, genre expectations, and disciplinary discourse to discuss writing-in-progress and writing development over time. Collaborate with other writers to improve writing-in-progress. Students will be encouraged to find opportunities to practice these skills inside and outside the classroom, through their academic work, internships, service learning, and public engagement. 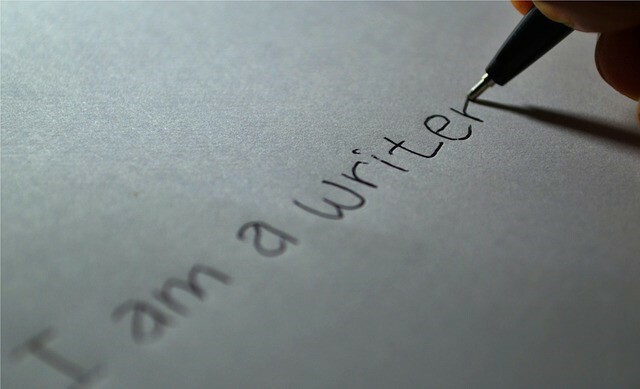 All students who enroll in the Writing Minor will be required to create an eportfolio that documents their process and progress as writers throughout their undergraduate careers. Click here to check out our recent minors’ eportfolios. This eportfolio project will be initiated during the gateway course and students will contribute writing from all of their subsequent coursework in both WRI and other courses before finalizing the portfolio as part of the senior capstone course. Writing minors will take one of two gateway courses that will expose them to theoretical frameworks for writing and rhetoric. They will continue with two courses selected from the upper-level WRI courses and two elective courses from the categories listed below. Finally, they will complete a senior capstone course that requires the curation, revision, and presentation of their portfolio. Students pursuing the minor are encouraged to take the gateway course in their freshman or sophomore year, two or three courses in their sophomore or junior year, and complete the remaining hours, including the capstone course, in their senior year. All minors will be advised by faculty in the Writing Program. The minor adviser encourages interested students to meet individually before they formally declare the Interdisciplinary Writing Minor. The adviser will discuss the student’s career interests and how the minor can be used to further the student’s professional goals. Students can seek out the adviser to consult on course selection. The adviser will also approve any English literature courses that a student wishes to count toward the minor, as well as any writing-enhanced courses across disciplines that are not on the pre-approved list. *The course not taken as the introduction to the minor may be taken in the second category. Writing Electives: Any Wake Forest upper level writing courses or writing-enriched courses across the disciplines that do not satisfy the gateway course or the 6 credits toward the minor may be used as electives. The Writing Minor is intended to complement a student’s major, and we discourage “double dipping.” No more than one course may count toward another program of study. A strength of the writing minor is its interdisciplinary nature. Those courses that are not designated as WRI/CRW/JOU will come from a list of courses that have been mutually approved by departmental chairs or program directors and the director of the Writing Program. These courses may be cross-listed or published on an approved list of courses on file with the director of the Writing Program. Writing enhanced courses, designed and taught by full-time Wake Forest faculty who have gone through the Writing Associates Program, will be considered as electives. Appropriate 300 level Wake Forest English literature courses may also count as electives (these courses must be approved by the minor adviser). All courses approved as electives must emphasize the writing process and include critical reflection on writing and revision. Students who wish to take non-Wake Forest courses for credit for the minor must submit a syllabus to the minor adviser. Approval depends upon the ways that writing is integrated into the course. The Senior Capstone is a research-based course that offers students the opportunity to assemble a cumulative, self-reflective portfolio. Click here to check out our recent minors’ eportfolios. Students in the capstone will revise works in their portfolio, compose a new writing project, and write a reflective essay on the genres and writing practices specific to their majors and professional goals. For more Information on the Writing Minor, please contact Erin Branch, Writing Program Administrator.